Healthcare facilities have a duty of care to provide top quality facilities that meet the needs of patients, staff, and visitors. That’s why you need the highest quality of external rehabilitation work and building maintenance. R&BS have provided maintenance services to aged care facilities, small healthcare providers, and also some of the country’s largest public and private hospitals across NSW and Queensland. During our decades in the industry, we’ve had healthcare clients return to us time and time again for maintenance services. In fact, some hospitals have been working with us for more than 50 years. 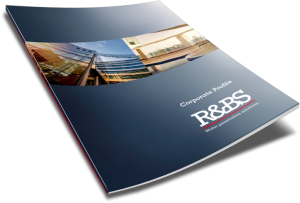 It’s a testament to the quality of the work provided by the R&BS team. At R&BS, we have decades of experience in dealing with everything from hospital roof repairs to external building rehabilitation and more. We’ve successfully completed even the most complex healthcare facility projects. R&BS will assess and respond to the individual maintenance needs of your healthcare facility. Whether you are in need of complete structural rehabilitation or simply cosmetic work on your hospital, we’re here to make it happen. Our areas of expertise include waterproofing, roofing maintenance and concrete repair. R&BS provides a comprehensive approach to any healthcare facility project, and we’re on hand from start to finish. We also appreciate that budget is a key consideration for any healthcare maintenance project. Sowe’ll begin by understanding exactly how much you want to spend, and determine how to make the most of your budget. For a customised proposal for your healthcare facility, call R&BS now on 1800 550 037 or fill out the contact form below for a fast response.